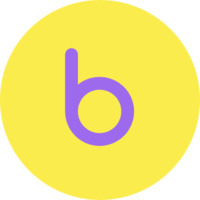 Beddr is a health technology company on a mission to improve the quality of life for the billion people worldwide with chronic sleep issues through the delivery of the first integrated, digital approach to understanding and improving sleep. The Beddr SleepTuner is the first product to integrate the accessibility and ease-of-use of consumer sleep trackers with much of the same clinical-grade data of a sleep lab. As the first FDA-registered consumer sleep wearable, the SleepTuner brings many of the insights of the sleep lab into the privacy and comfort of your home own. Instead of thousands of dollars per test, each nightly assessment costs less than a cup of coffee. Instead of being limited to a single night, owners of the SleepTuner can use it as often as they need to better understand and improve their sleep quality night over night.